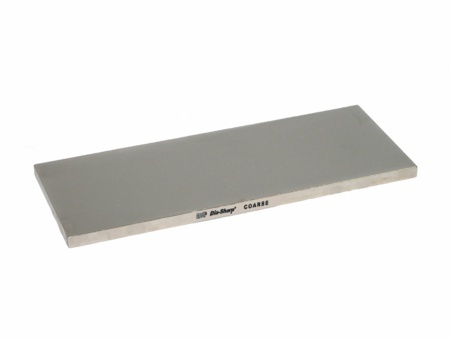 Guaranteed not to hollow or groove, DMT®’s precisely engineered Dia-Sharp® Bench Stone with continuous diamond surface assures consistent, even sharpening every time. The 10" length is perfect for long or short knives and other tools and provides cutting edge performance for a quick, keen edge on small contact areas and pointed tools. Includes non-skid rubber feet. Diamond grit clearly marked on side of stone. The surface of the stone measures 10" long by 4" wide. Choose from the following grits: extra-fine, fine, coarse.